Five Nights At Freddy's Movie …Plus a novel! Home › Forums › Off Topic › Five Nights At Freddy's Movie …Plus a novel! This topic contains 1 reply, has 2 voices, and was last updated by V-Tundra 3 years ago. I know that that there’s going to be a movie adaptation in the works. Which goes to show Hollywood’s impoverished imagination. Cough. Cough. Angry Birds movie. 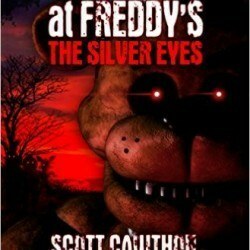 I don’t know if you’re all aware but a novel based on the FNAF franchise was just released. 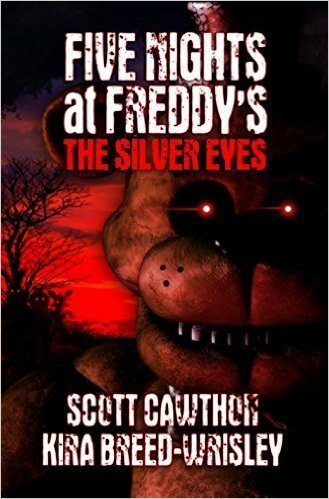 It’s call Five Nights at Freddy’s: The Silver Eyes. Written by Scott Cawthon and co-authored by Kira Breed-Wrisley. I’ll stick with the classics that have endured the test of time, thank you!